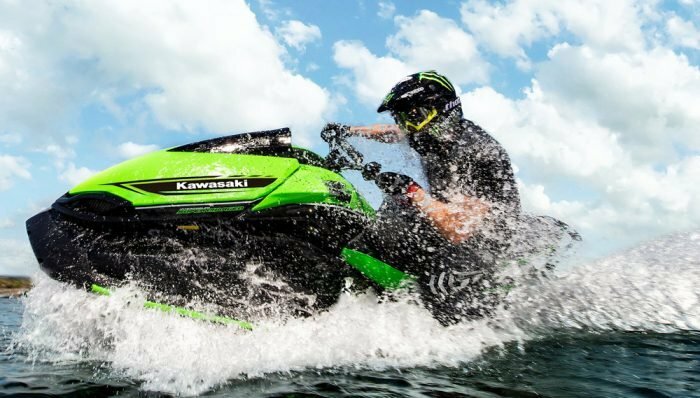 The 2018 Kawasaki Jet Ski STX-15F is largely the same model we’ve seen for years, but it’s still easily the most powerful craft in this price range. 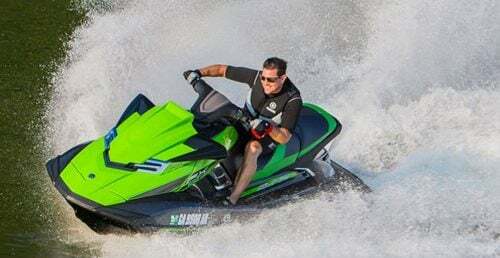 The Kawasaki Jet Ski STX-15F may be the most dated model currently on the market, but the craft continues to justify its place among the competition. 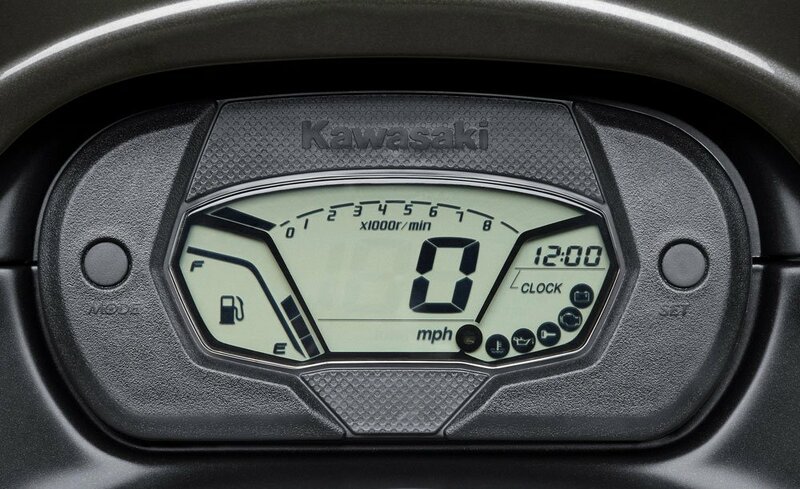 One obvious reason is power – Kawasaki simply offers significantly more than similar models at this price range. Yet another is handling. Rather than built from the ground up as a recreational model, the 15F was fashioned instead as a flagship, honed on the race course. That combination of power and handling may make the 15F a little too much for buyers who want a tamer ride, but far better for those who like their ride a little more on the wild side. 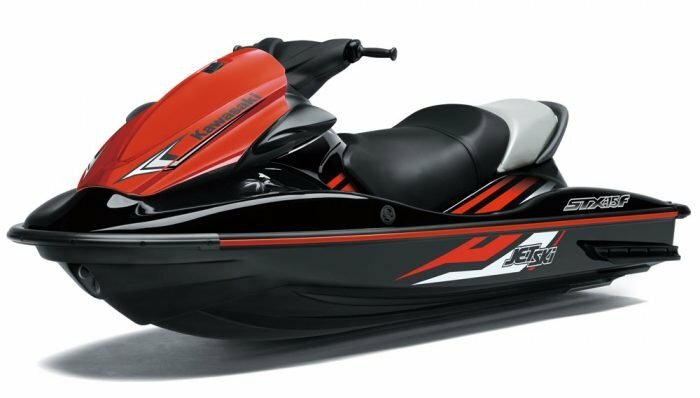 In short, the 2018 Kawasaki Jet Ski STX-15F is still worth a look…even after all these years. So just how powerful is the 15F? Pin the throttle and you’ll quickly find the boat passing the 60 mph mark, typically topping around 62 mph. That’s pretty fast for a model at this price point, notably more than similarly priced models from Kawasaki’s two main competitors. The time it takes to get to those numbers is also impressive. The 15F will pass the 30 mph mark in as little as two seconds – and that’s without a supercharger. 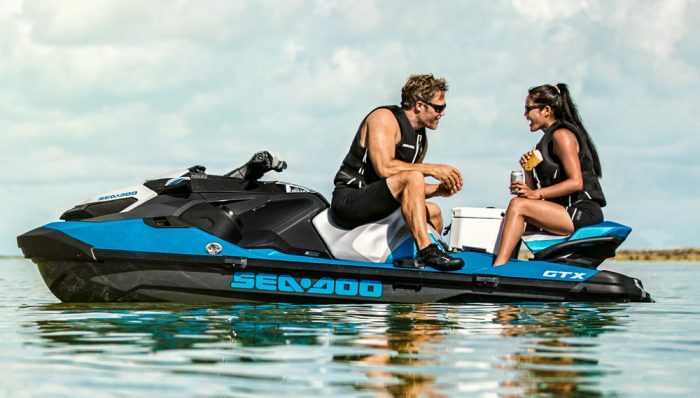 This craft benefits simply from a large-displacement (1,498cc) engine rated at 160hp. Yes, that power can be overwhelming for a truly timid novice, but for many more it will provide sure thrills. 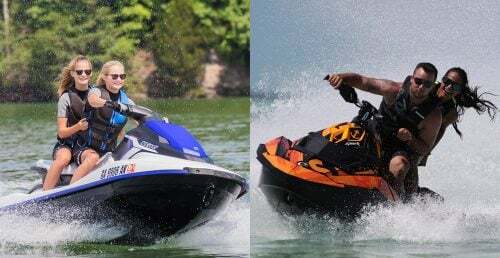 And even if new riders don’t tap into it often in their early days with the craft, it’s there, ready to take them to the next level as their skills and confidence improve without trading up. And in addition to satisfying a growing need for speed, it pays some practical dividends as well. 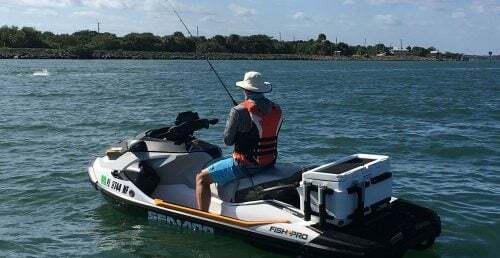 The low-end punch is enough to take even larger adults skiing or wakeboarding, and carry multiple passengers without suffering. Yes, in terms of sheer style you can argue the design is dated. It is, without doubt. But Kawasaki has done a good job of keeping the craft looking fresh over the years. The current black-and-orange combo is actually quite aggressive in appearance. And as already mentioned, the hull was once challenging on the race circuit. It’s deep-V slices through lousy conditions with precision and predictability, while carving an impressively sharp turn. It’s also stable and quite dry, letting passengers ride in comfort. 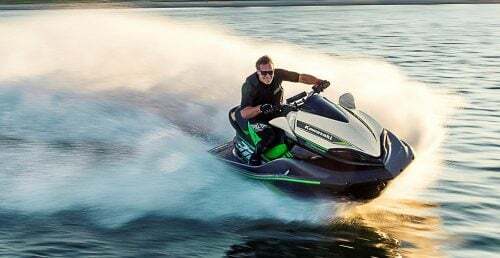 While the 2018 Kawasaki Jet Ski STX-15F excels in performance and handling, it falls short in today’s age of features. Competitors offer electronic reverse and brake/deceleration systems that are highly intuitive. The 15F continues to make due with mechanical reverse. It’s effective, but not nearly as user-friendly. You also won’t get cruise control or a no-wake mode. 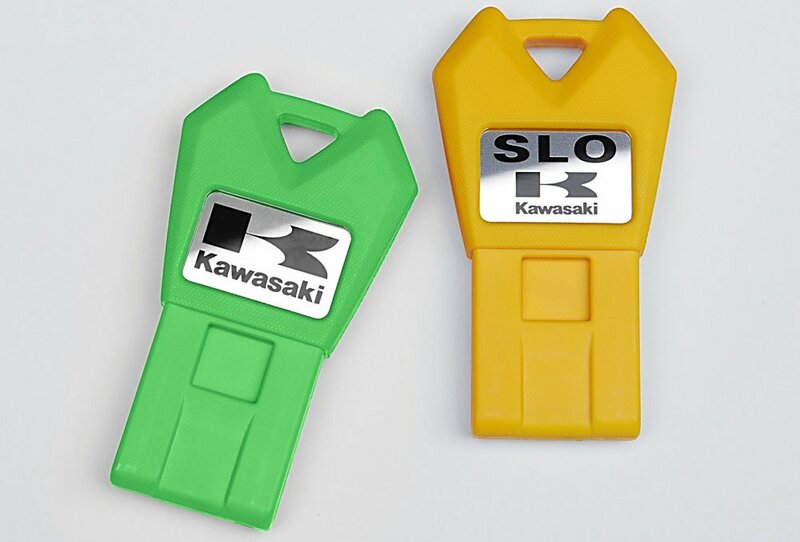 The most high-tech feature is probably the magnetic theft-prevention keys, one of which offers full power and the other a governed speed for when you want to save fuel or make sure the ride remains conservative for kids or newcomers. Other features include a spring-loaded boarding step, dual rearview mirrors, and just shy of 24 gallons of storage. The latter is split up between the traditional bow tub, glovebox, and shelf under the aft portion of the saddle. Ergonomics also continue to be a little old-school, or more to the point low slung. Riders sit lower to the water than has become the norm in recent years, but that’s an aggressive posture that arguably fits the craft. The gently sloped saddle offers a subtle bolster for the driver and fits up to three in comfort. Still, it’s a style that will likely please performance types, but draw mixed reaction from recreational riders, especially if driver and/or passengers tend to be on the taller side. Clearly the 2018 Kawasaki Jet Ski STX-15F has its advantages and disadvantages. That’s why consumers need to look long and hard at models in this price range to pick the craft that makes the most sense for them. Need a little head start? 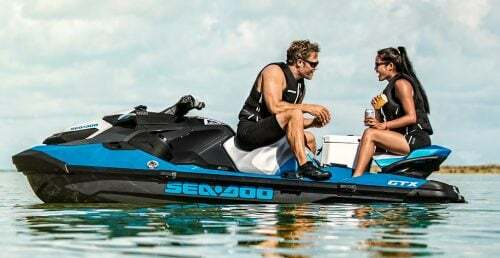 Toughest competitors include Sea-Doo’s GTI SE ($9,599), offering Intelligent Brake and Reverse, electronic trim, and three stages of electronic throttle control to fine-tune the response. At this price point, however, the engine is only 90 hp, a combo that produces a top speed of only 42 mph. 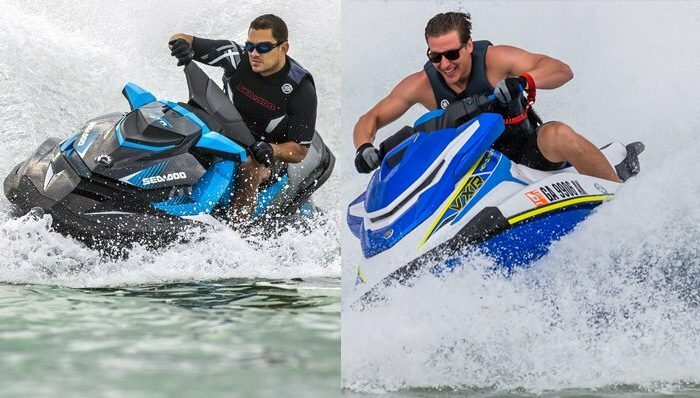 Yamaha’s VX (also $9,599) includes the RiDE electronic reverse/deceleration system and the 1,049cc TR-1 HO engine. Top speed is approximately 53-54 mph.